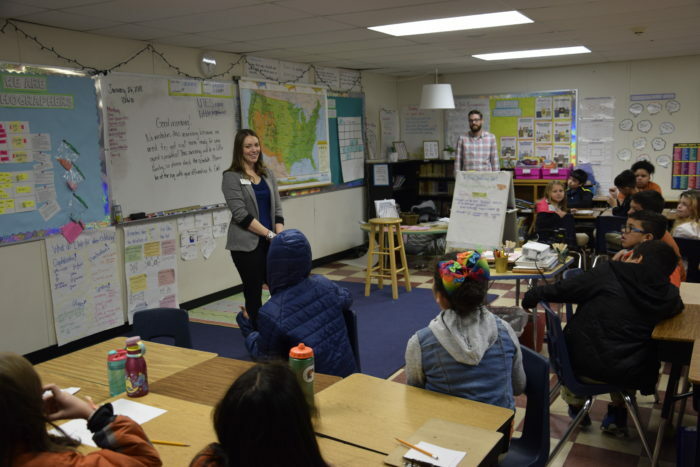 On Friday, January 26, UTES held its annual campus-wide career day. This year’s event focused on STEaM (science, technology, engineering, arts, and math) careers. 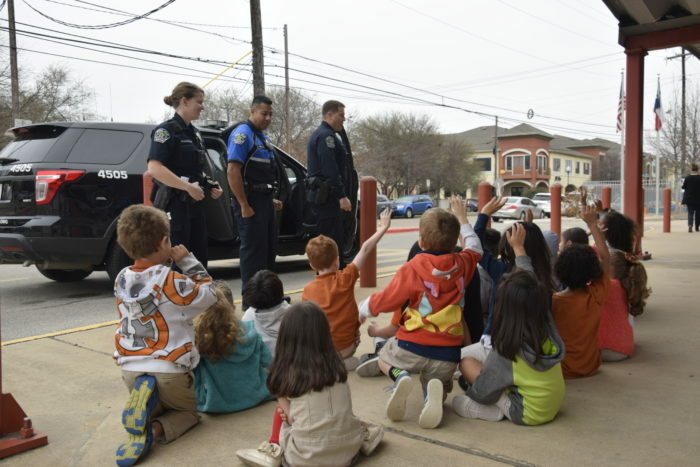 Throughout the morning students had the opportunity to interact with local APD officers, UT professors, civil and robotics engineers, forensic scientists and even KVUE sports anchor Shawn Clynch. Career day participants discussed how they chose their career, the required skills to be successful at their career and the tools and technologies they use on a daily basis. Be sure to check out the entire photo gallery. UTES first graders in Ms. McCoy’s class raise their hands to be picked to try out the police megaphone. 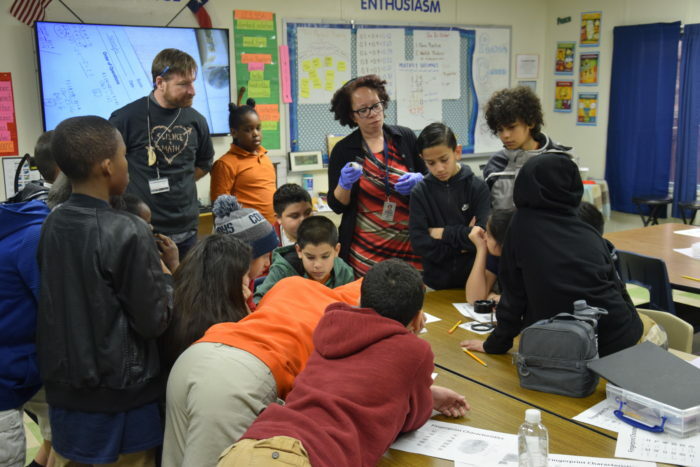 UTES fifth graders in Mr. Hall’s class work on fingerprinting with APD forensic scientists Sonseree Gibson-Latent. 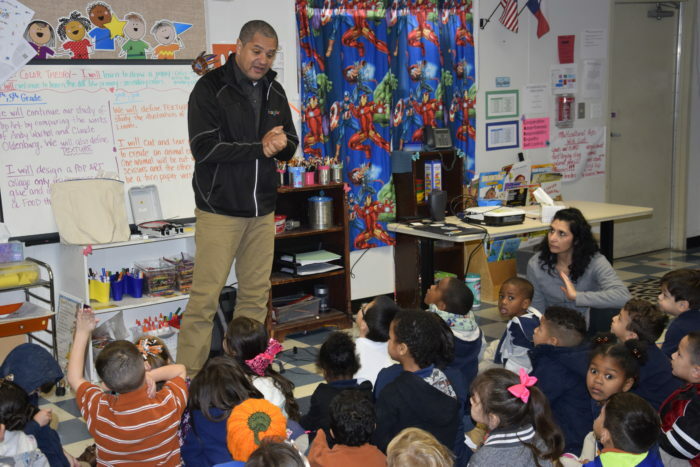 Chris Anderson from Google talks with pre-K students about driverless cars and Goggle Fiber. Student’s from Ms. Trautman’s fourth grade class ask Kaitlyn Loyd, a museum educator, questions about the Civil War.